A number of lifestyle factors can contribute to depression, but one that’s often overlooked is what you put in your mouth. Diet can play a huge role in depression. Do you crave sweet, salty, and fatty foods when you’re feeling blue? You’re not alone. But If we eat better foods like lean proteins, whole grains, fresh fruits and vegetables, and fish, we short-circuit the junk food cravings and have higher energy levels and sharper mental focus. Vitamin D (sun exposure; fortified breakfast cereals, breads, juices, milk): Vitamin D is required for brain development and function. Deficiency in the “sunshine vitamin” is sometimes associated with depression and other mood disorders. 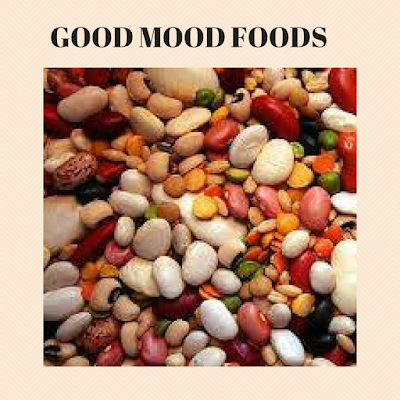 Carbohydrates are linked to the mood-boosting brain chemical, serotonin. Experts aren't sure, but carb cravings sometimes may be related to low serotonin activity. Limit sugary foods and opt for smart or “complex” carbs (such as whole grains) rather than simple carbs (such as cakes and cookies). Fruits, vegetables, and legumes also have healthy carbs and fiber. Tryptophan (protein sources including turkey, beef, eggs, some dairy products, dark, leafy greens): tryptophan is an amino acid and a precursor to serotonin. It’s not well understood, but low tryptophan seems to trigger depressive symptoms in some people who have taken antidepressants. People with low blood levels of the B-vitamin folic acid, or high blood levels of the amino acid homocysteine (a sign that you are not getting enough B6, B12 or folic acid), are both more likely to be depressed and less likely to get a positive result from anti-depressant drugs. In a study comparing the effects of giving an SSRI with either a placebo or with folic acid, 61% of patients improved on the placebo combination but 93% improved with the addition of folic acid. Caffeine may be difficult for many people to completely eliminate from their diet. However, it is good to only have caffeinated drinks in moderation, particularly when you are experiencing depression-like symptoms. Caffeine can disrupt sleep patterns and make you feel anxious, which won’t help your depression. People who drink more than 400 milligrams of caffeine a day, the equivalent of four cups of brewed coffee, should consider cutting back.